Welcome back to another instalment of 10 for 10. 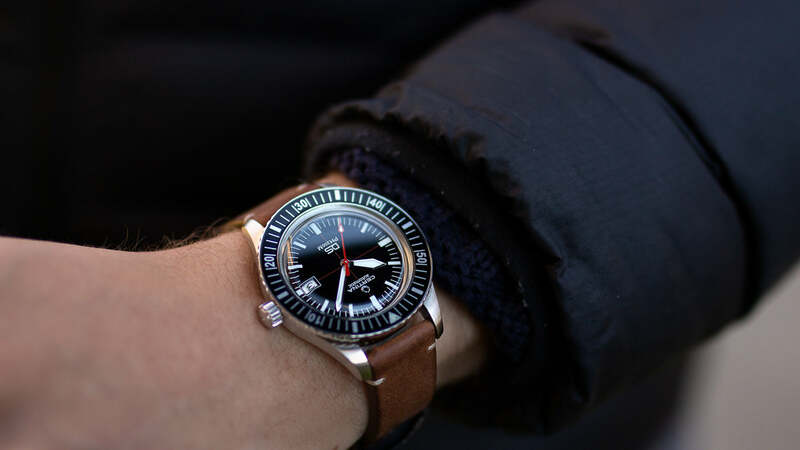 This is a series from WatchGecko that sets out to inform you, the reader, of 10 watches branching over 10 different categories that combined offer an extremely versatile, enjoyable and rounded collection. All together coming in at a value less than £10,000. Some watches maybe more expensive, some may be extremely affordable but together they will all come in less than £10,000. Stay tuned to the blog for regular new episodes as well as our YouTube channel for extended looks at each watch featured. So, the big one. 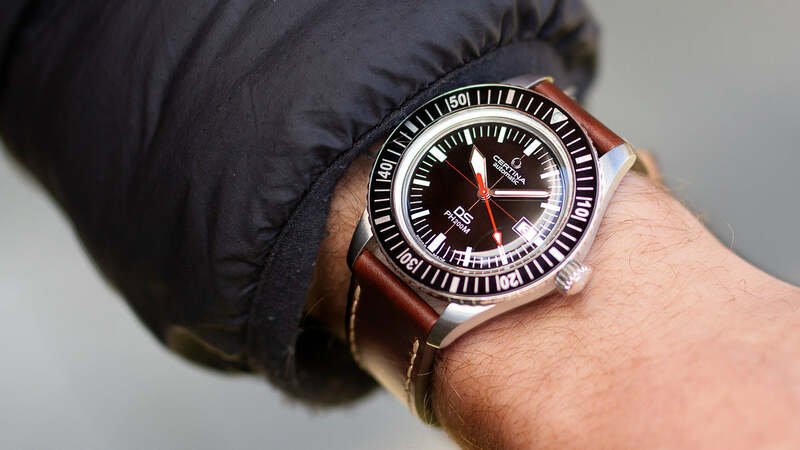 For many people diving watches are just normal everyday watches (myself included). When most people think tool watches they would either think diving watches or chronographs (don't worry, the chronograph is coming). 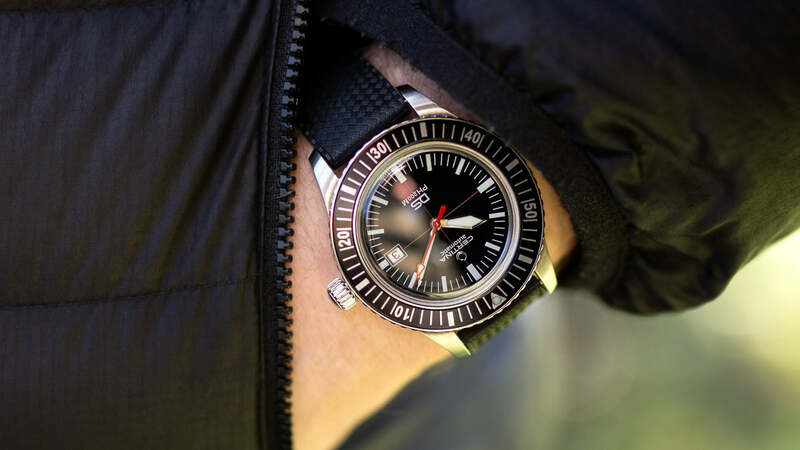 At their core, diving watches offer the owner a tough, well built, durable watch that is legible purposeful and reliable. Oh and of course, have the ability to resist water commonly 100m or more. "The DS PH200M represents a seamless continuation of its predecessor's timeless design, combining it with a high-performance automatic movement of the latest generation." The DSPH200M from Certina was a new watch released for the brand at Baselworld 2018. 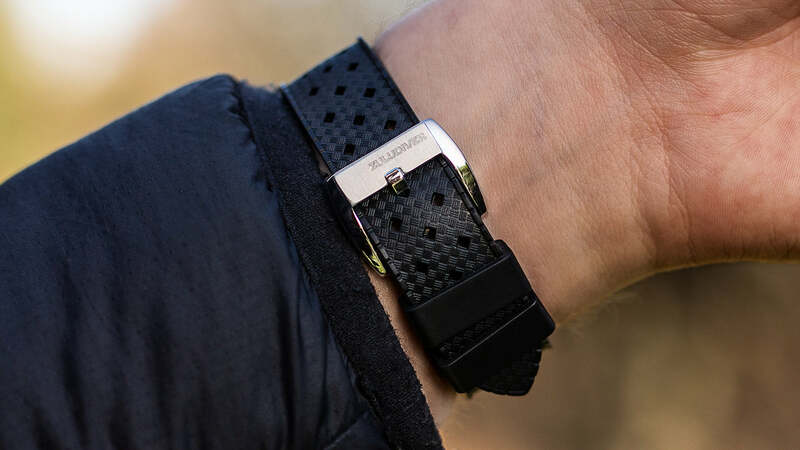 This subsequently resulted in it being their last appearance at Baselworld (for now) and I believe the watch didn't receive the coverage it deserved (Which is why we wrote about it here). 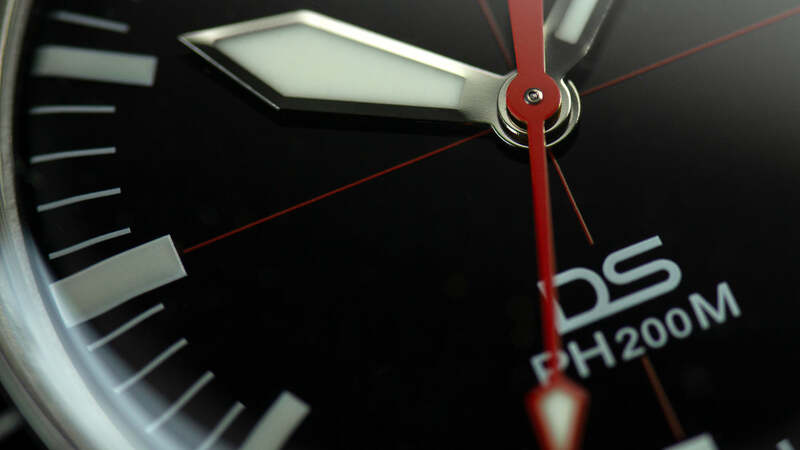 The watch is inspired by the original DS PH200M reference 5801.117 from 1967. The first feeling you get when you see the watch is although it is inspired by its past, it's definitely a new timepiece. The watches case comes in just shy of 43mm, with a width of 42.8mm. This width is complimented with a lug to lug distance of 52mm, a thickness of 13mm and complete with a very usable lug width of 20mm. 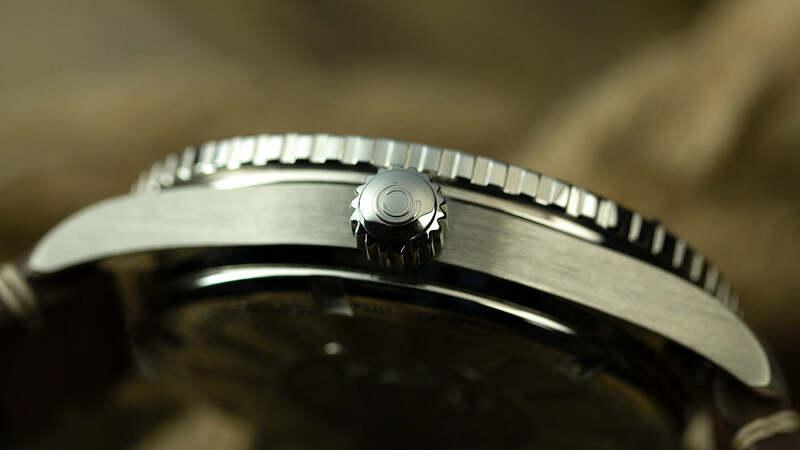 We should also mention how well this watch is finished, with most of the focus being on brushed surfaces. Many re-issues we see are covered in faux patina, faux lume or ‘forced ageing’, the Certina avoids all of these current trends and sticks to drowning those large, legible sword hands with modern bright white Super Luminova, really defining the watches design principles. The dial on this piece is coherently designed around the focus of red colouring. This is where we see the most instantly noticeable difference from the original watch, with the second's hand on this 2018 release is complete in all red. The dial still retains the cross design, however, the use of a bright red seconds hand really works to bring the dial design together perfectly. While we're on the topic of original feeling features, we have to tell you about the crystal on the watch. A hesalite box crystal adds a fantastic nod to Certina's rich history acting as a nice little addition reminding the wearer the watch has a past. For everyone now concerned you will have to be careful where you wear this watch because of said crystal don't worry, its complete with additional NEX scratchguard coating for worry-free wearing. 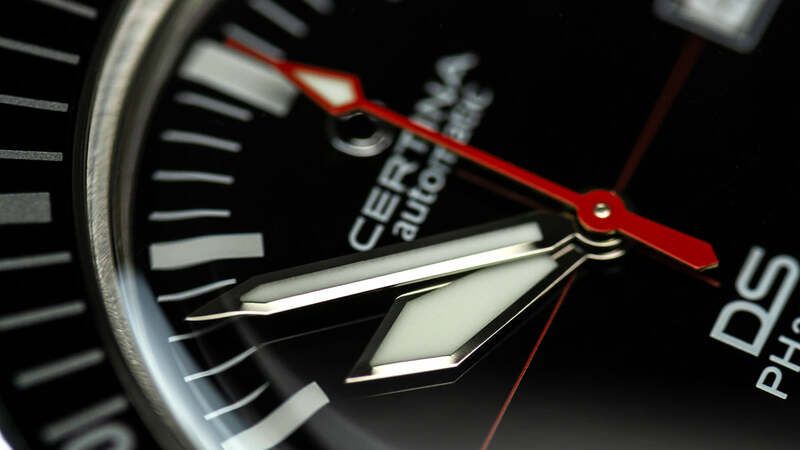 The movement powering this Certina is the automatic ETA Powermatic 80.11. A fan favourite for many Swatch Group watches, this automatic movement comes with hacking and an impressive 80 hours of power reserve. This reliable, durable movement is perfect for the Certina adding further emphasis on this watch not just being another 1 for 1 copy of an original. As the name suggestions, it comes with a 200m water resistance rating. On the topic of water resistance, we will need to stay with the name as that tells us much more than just '200m'. DS is referring to Certina's clever double security concept. This system includes increased numbers of seals and reinforced screw down case-back and crowns to ensure maximum water and shock resistance. How does it wear on the wrist? The first things we should really talk about here is how the 42.8mm width wears on the wrist. Well, its a 42.8mm watch so it should come as no surprise to hear it has got a large presence on the wrist. The actual case itself is closer to 41mm with the wide overhanging bezel making up the 1.8mm excess. It fair to say this is a watch created to be noticed on the wrist. This overall large size is somewhat balanced out by the watches impressive thickness. 7mm out of the 13mm is on the case with the rest of the thickness being credited to the bezel and crystal. The result is a watch which actually feels surprisingly snug and flush on the wrist when you consider the dimensions. With the watch on wrist two of the most standout, noticeable features are those large bold hands and wide bezel. They both add to its inevitably 'military' vibe to it with the watches bold proportions and style. 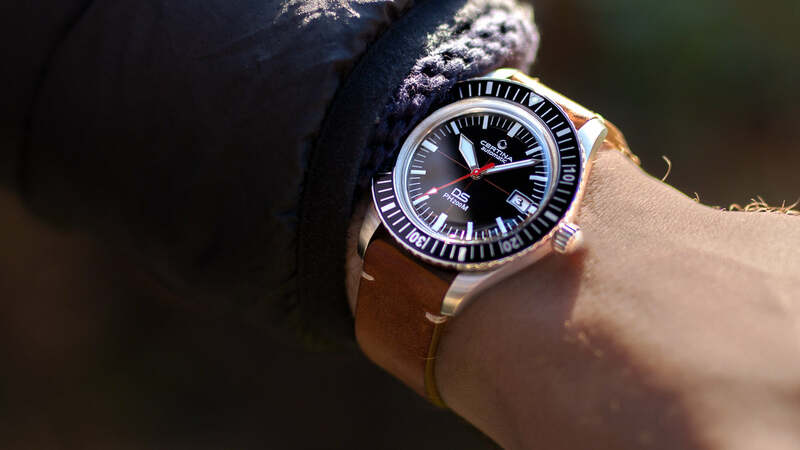 The Tropic Rubber is one of the best rubber strap choices to go for if you want to make your new diving watch feel nice and authentic. These strap designs originate from the same era as the Certina yet still manage to give the watch a very modern sporty look. These straps now come with upgraded buckles, with both polished and brushed finishes. A must-have in your collection. 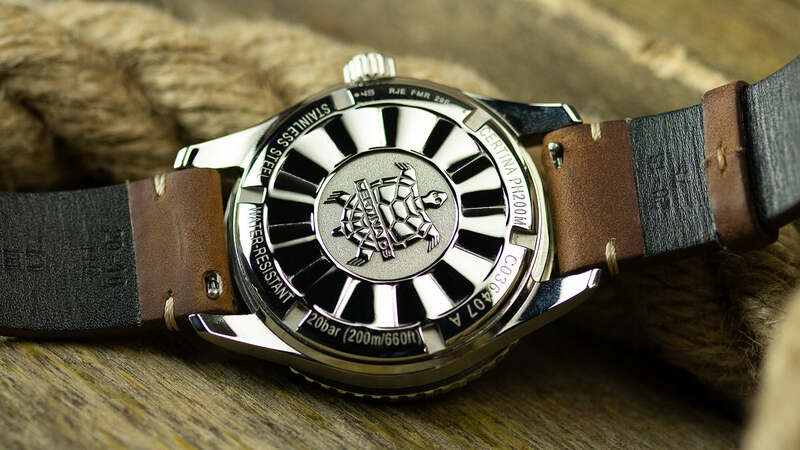 If you want a strap equally as unique as the watch itself you need to pick up a Premium Croc Diver from our ZULUDIVER range. This strap combines the practicality of EPDM rubber with the stylishness of a Croc pattern. 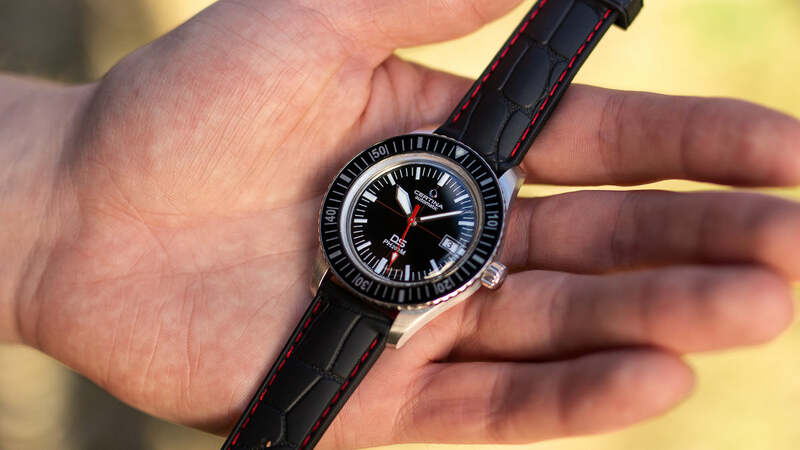 To make this incredibly comfortable strap look just that little bit more impressive, go for the red stitching to pick up on the Certina's use of red on dial and complete an extremely coherent look. Finally, I wanted to go for something a little different from the previous suggestions. The Old Chester favours continuous stitching down each side of the strap rather than the thread around the lugs on the standard leather strap. 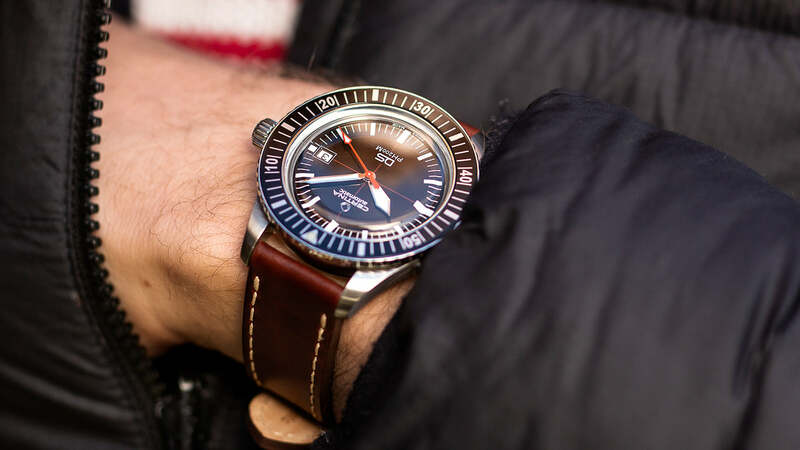 The Dark Brown option actually gives the illusion of toning down the bright white and red on the dial of the Certina and give this authentic feeling piece a little more casual. 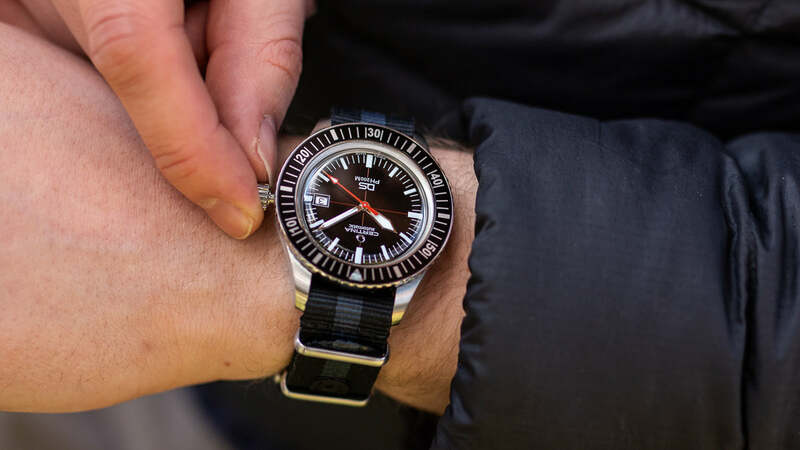 If you're planning on using your diving watch for less practical activities (have you seen our beater watch from episode 3 of 10 for 10? ), this is a brilliantly comfortable option. Overall dimensions - Yes I know this is a key point for the PH200m, however, the largest wrist in the office is just over the 7-inch mark (and that’s me!) so as a group of collectors we tend to lean towards smaller watches. With this in mind, a 39mm version of this Certina would keep the watches prominent presence. Bezel updates - the bezel on the Certina is nice and easy to adjust on or off the wrist, however, I did notice some play in the bezel when setting it to the correct position. 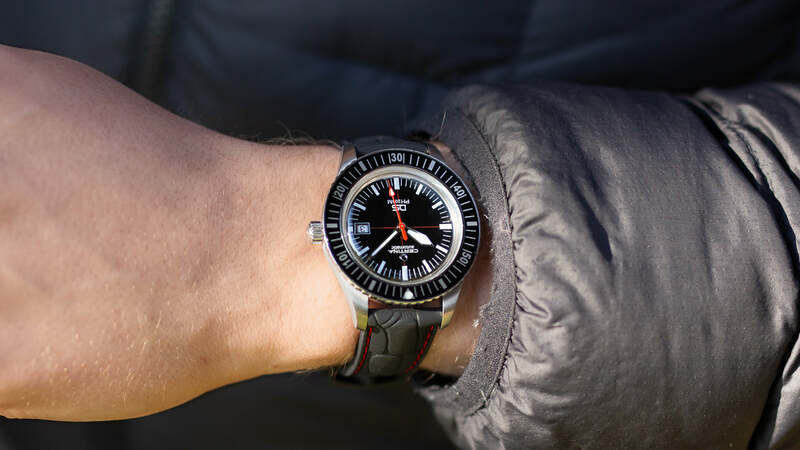 Picking just one diving watch for a rounded collection was never going to be easy (We have already included another one and spoilers, there is one more coming) however the Certina does offer something rather different over the other options. 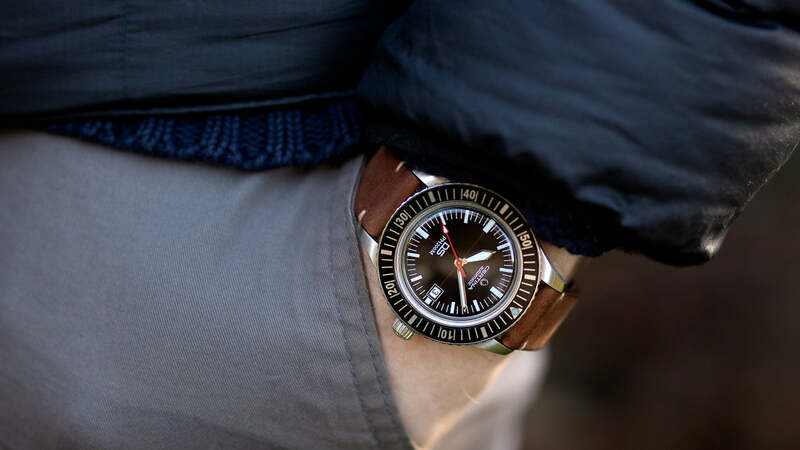 As a diving watch, it meets all of the requirements with ease. Legibility (thank you sword hands), reliable (thank you 80 hours of PR) durable (thank you DS) and most importantly water resistant (thank you DS, again). 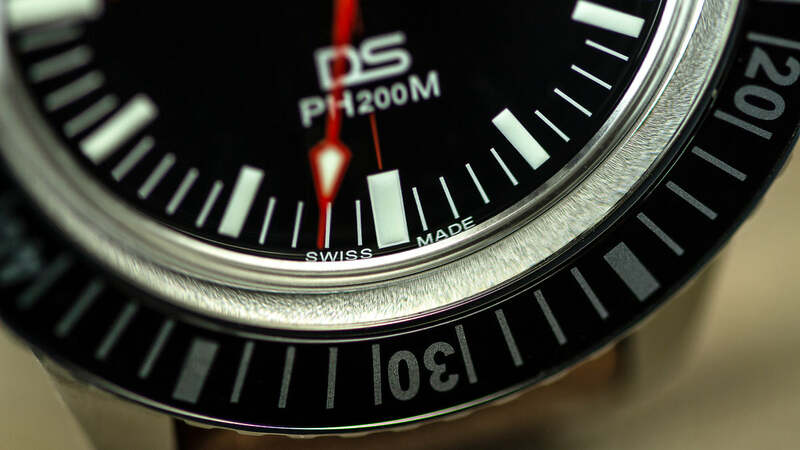 The DS PH200M offers a watch which evidently is inspired by Certina’s vast history but in a modern way. 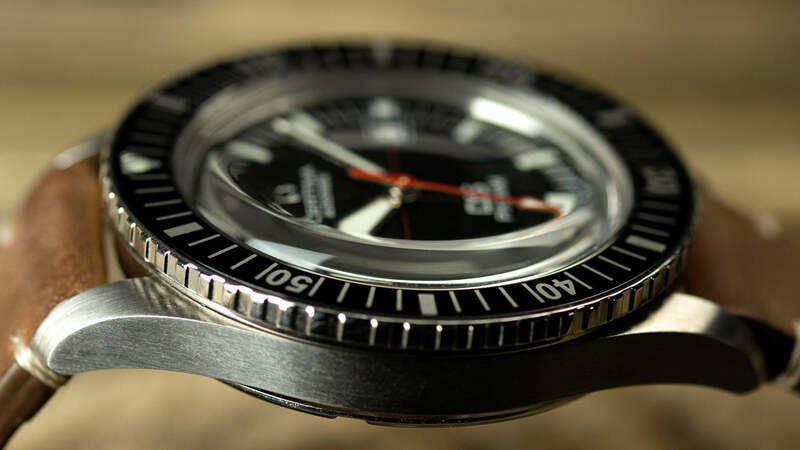 The 42mm case width keeps the watches appeal high, the solid construction retains its reliability, and its unique approach to a historical watch keeps it unique. 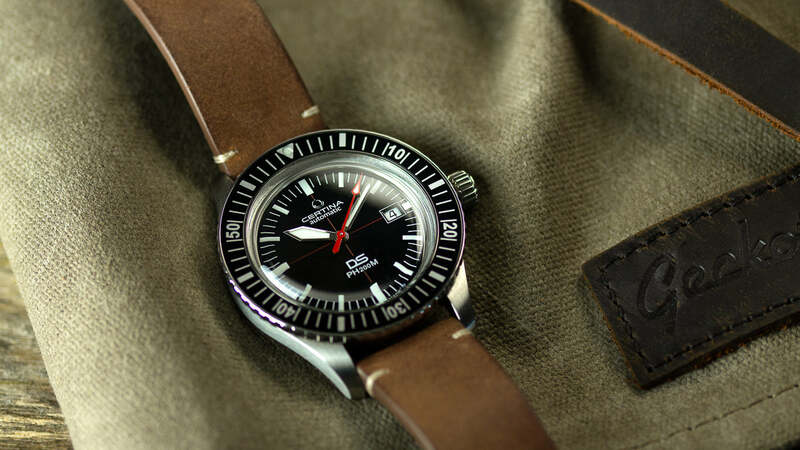 For brands with recognised history it seems re-issue watches are somewhat expected in today’s current market, and admittedly some do offer very similar features to the Certina (the RADO Captain Cook for example). However, competition for re-issues at the Certina’s price point is almost non-existent, especially when you consider how much of a statement the PH200m can really make on the wrist. 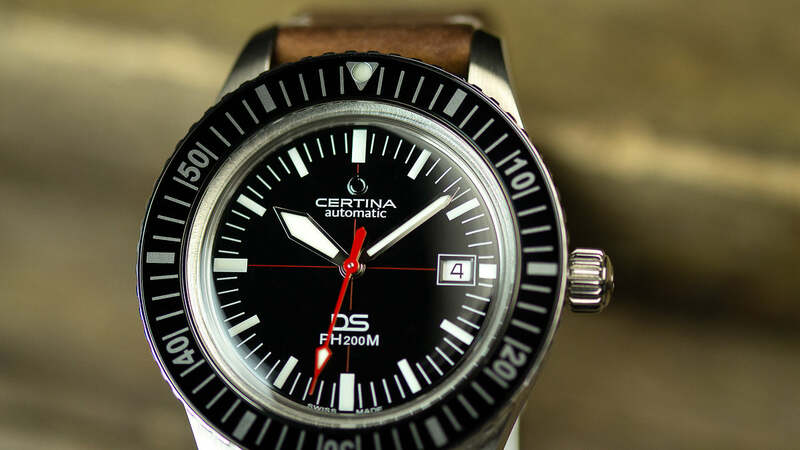 The Certina DS PH200M is currently available for £565. We'd like to take this opportunity to thank Certina for sending this watch out to us for review and to be featured in this new series. If you're interested in learning more about the watch click here. Excellent review Tim! This watch is an absolute stunner and one that has been on my radar for a while. I may have to keep my eyes peeled on the second-hand market (no pun intended) and pick one up. I'm surprised at just how good it looks on your 7" wrist. I have about a 7.5" wrist (or a little less) and I think this would wear very nicely.